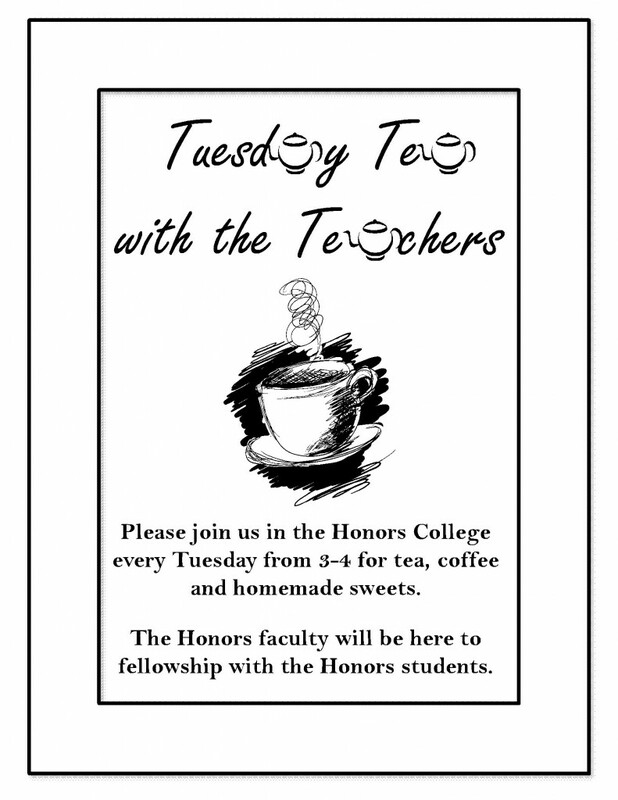 Please join us every Tuesday, starting tomorrow (9/15) for “Tuesday Tea with the Teachers”. We will be meeting in the Honors College Office (100 Zellner Hall) from 3-4 pm. This will be a fun opportunity to eat homemade sweets, drink tea and coffee, visit with your professors, and maybe even challenge them to a game of Apples to Apples or Scrabble.